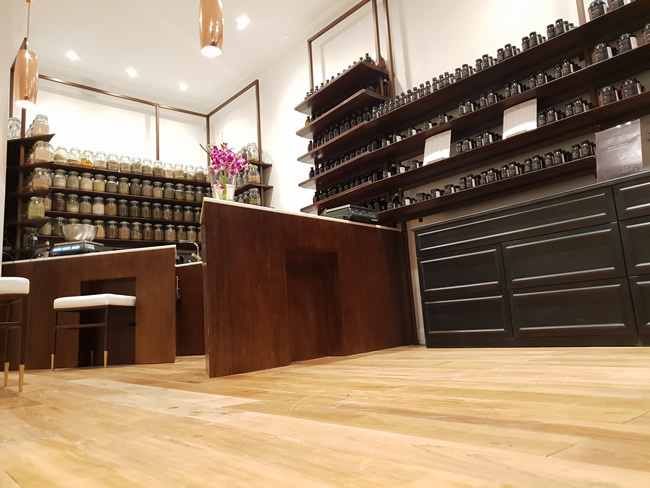 You might have noticed a new addition to Turnham Green Terrace in the last few weeks: Zen Maitri’s Natural Health Apothecary. The store has opened with a simple intention: To become Chiswick’s local hub for natural health products and consultations. But Zen Maitri’s shelves aren’t lined with things you can buy online or from rival retailers. Instead, everything is made from the apothecary's store of more than 130 plant-based ingredients. Alongside a range of ready-made natural products, bespoke teas, tinctures creams, oils and powders are made to order on the spot; adapted to each client’s constitution and health concerns by a fully-qualified medical herbalist. Zen Maitri also offers classes in Meditation, Breathwork and Pranayama. These are perfect for anyone looking for clarity, peace of mind and a way to combat stress and anxiety. On top of weekly group classes, Zen Maitri will soon be introducing Family Meditation. These intimate sessions offer families the chance to spend time together while developing new skills that improve resilience and support mental health and wellbeing. Then there’s the third element of Zen Maitri’s apothecary philosophy: Personal health consultations. There are three kinds of consultation on offer: The Herbalist Consultation covers general health with a highly trained medical herbalist. The Nutrition Consultation calls on the expertise of Zen Maitri’s in-house nutritionist to assess your diet and its impact on your wellbeing. The third - Zen Maitri’s Wellness Consultation - combines the two, bringing the expertise of a medical herbalist and a nutritionist to address your health concerns and challenges. So you get the idea: This is more than a health store. It’s an apothecary in two senses of the word. Zen Maitri’s expert team blends herbal products to address specific concerns; the store as a whole blends different approaches to wellbeing. Stepping inside Zen Maitri to browse the shelves and chat with their friendly team of medical herbalists is an experience in itself. The stunning retail floor features handmade Balinese furniture and comfortable seating. There’s a separate space for more in-depth consultations, workshops and guided classes. Zen Maitri’s highly-qualified team includes four medical herbalists, one nutritionist, one pharmacist and an expert in Meditation, Pranayama and Breathwork. Together they offer a holistic approach to health that combines the best of modern science with traditional systems of wellbeing. On February 14th, Laurent Roure’s weekly Meditation, Pranayama & Breathwork Group starts. Following that, it’s on every Thursday evening from 18:30-19:30. Rather than split the session into three distinct practices, Laurent’s class combines elements of all three, training pupils to better still their minds, relax and generally get away from it all. When practised on a regular basis, Pranayama (the ancient yogic discipline of controlled breathing), Breathwork (a secular, more modern interpretation) and Meditation have all been linked to improved mental resilience against stress, anxiety and more. Places can be booked in-store, on the phone or via the booking form on the Zen Maitri website . Visit the store any day of the week to find out more about classes and consultations. Or just stop by to chat with the team about your health concerns. Zen Maitri is now open at 39 Turnham Green Terrace. For more information, visit www.zenmaitri.com . You can also follow the store on Twitter and Instagram . Zen Maitri’s Natural Health Apothecary is a collaboration between Zen Resort Bali , a holistic wellness resort in Bali, Indonesia, and Maitri Health , a natural health store in Streatham, South London. Each brings over 30 years of experience in their respective fields to provide clients with an integrated, empowering approach to health and wellbeing. A hub for all things health and wellness, The Natural Health Apothecary provides a wide range of personalised products and services to improve client’s wellbeing, including bespoke herbal products, consultations with experienced medical herbalists and nutritionists, and classes in Meditation, Breathwork, Pranayama. Zen Maitri is committed to sustainability. Where possible, products are packaged using recyclable materials, with incentives offered to customers who return their packaging for re-use.